3432 Wisterwood Ln, Birmingham, AL.| MLS# 813272 | Richard Jacks UABLIVING.com 205-910-2297 | Birmingham AL Real Estate | Contact us to request more information about our Homes for Sale in the Birmingham AL area. 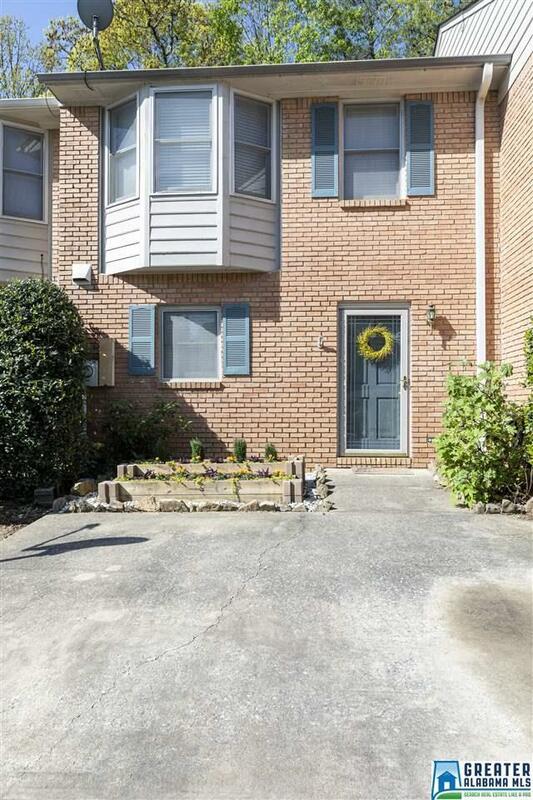 Looking for a low maintenance townhouse in a convenient location? Here it is! This 2 bed & 2.5 bath home has been updated throughout, is move in ready, & has low county taxes. As you enter the home, the kitchen is to your immediate left. The kitchen has new butcher block counters, new backsplash, new light fixture, newer appliances, & freshly painted cabinets. From the kitchen, there is an open concept dining room into the living room. This great room has been painted a nice neutral grey, has new flooring, & new lighting. There is also an updated half bath on the main floor. The second floor consists of both bedrooms with their own full bathrooms & the laundry closet. There is new flooring throughout the upstairs. The master bedroom has a large walk in closet, bay window, & large master bathroom. The second bedroom overlooks the backyard & has a walk in closet. The backyard has a connected storage closet, a new stone retaining wall installed by Andy&apos;s Landscape, & is low maintenance. Driving Directions: From Wisteria Road, Turn Onto Panorama Court. Take 2nd Right Onto Wisterwood Lane. Townhouse Is Down On Your Left Near The Cul-De-Sac.